The studio offers bed and light breakfast. Choice of two cereals,biscuits, tea ,fresh coffee, sugar etc fully equipped kitchen. Fridge can be stocked at extra charge from our local community shop , which sources all of its delicious food locally eg bacon,eggs,sausages, fresh meat, bread cooked on the premises etc. Singles , couples or families seeking short breaks, business trips all welcome . The studio comfortably sleeps two/ three adults or 2 adults with one or two children. -Guests will be welcomed on arrival where possible, and we are available throughout your stay to help make your visit enjoyable. -We have horses, two very friendly cats and a friendly dog . On the edge of the beautiful New Forest. 37" sky tv all the sky channels including sports films etc. Lovely 2 night stay. Very cosy, had everything we needed. Hosts who live on site are very friendly and helpful. Clean and finished to a high standard. Highly recommend. Great accommodation in a lovely area. The studio was very clean and we were impressed with the kitchen facilities and high quality utensils. We were really warm and comfortable throughout our stay. 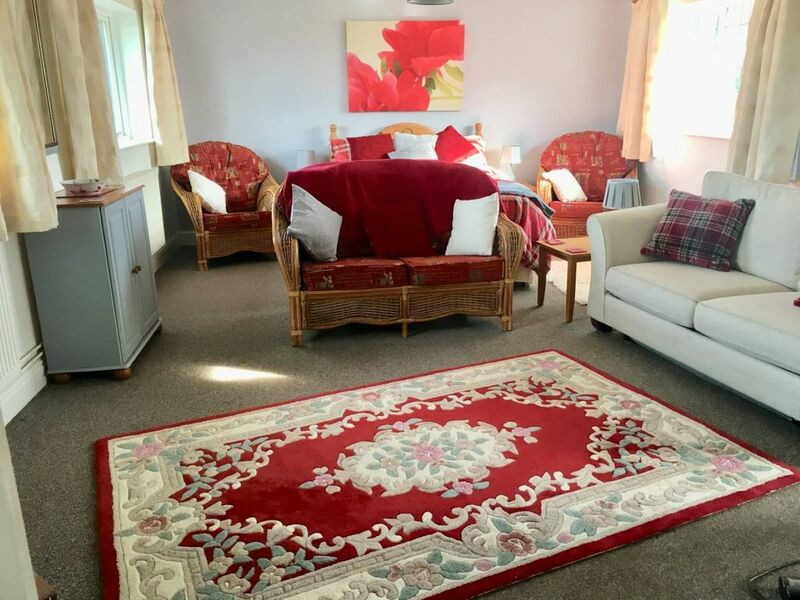 It is a great location for walking or driving to nearby restaurants, sights or the sandyballs holiday park and for visiting Salisbury. Thank you Jacqui! Beautiful relaxing break.... very nice hosts.... couldn't fault it. Both thank you for leaving the studio so clean and tidy .